Curating an eye-catching table is easier than you think. 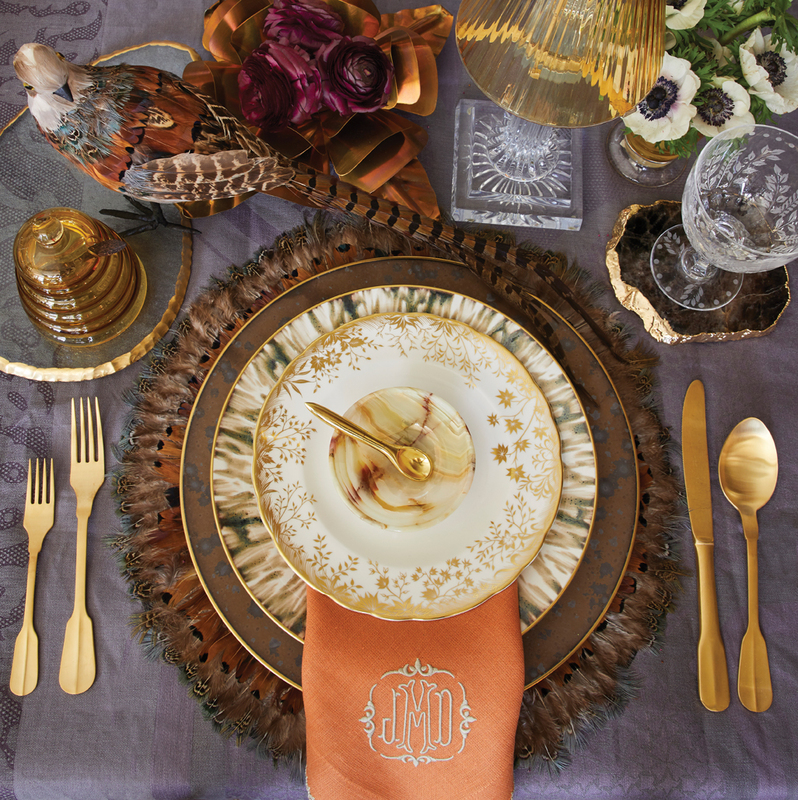 Here, Patricia shares her expertise to set your holiday table in style. Welcome nature to the table. 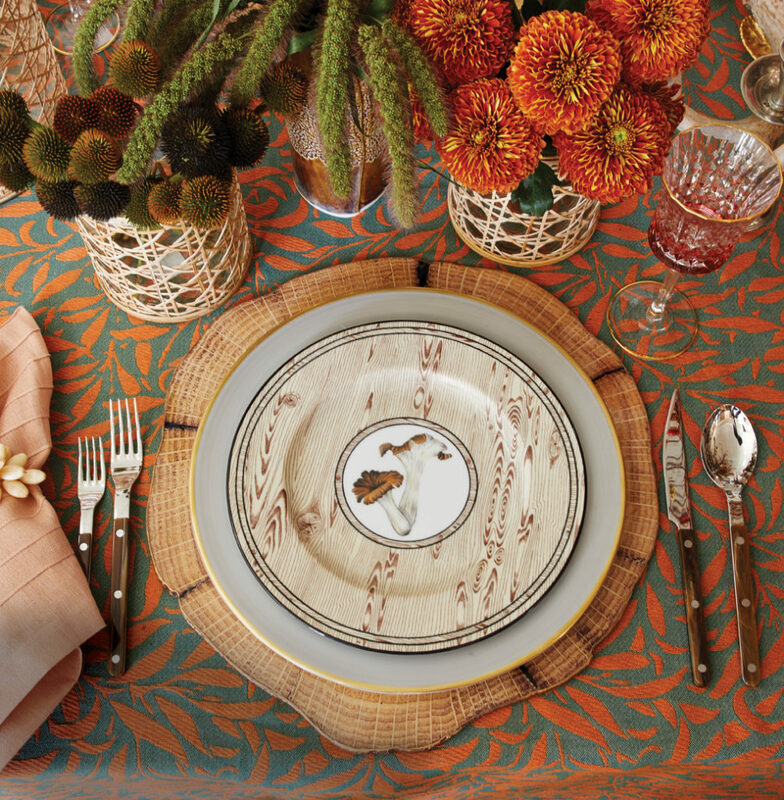 Include natural elements on the table to add interest. Cut some floral stems or greenery from the yard to use as a centerpiece, but keep them low so that they don’t inhibit conversation across the table. 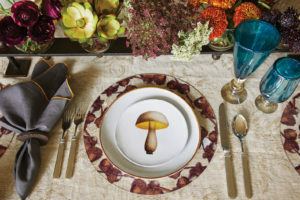 Use feather place mats (at left) or a plate featuring a natural element like the Astier de Villatte mushroom salad plate and acrylic acorn place mat (bottom left). Let there be light. Candlelight is a must. Candles come in so many colors, so choose what speaks to you. Blush colors are good options for the holiday season because they blend well with other hues. Learn to layer. To add more interest to the table, layer in various textures and patterns, from patterned tablecloths to velvet metallic ribbon to greenery. Don’t overlook the linens. 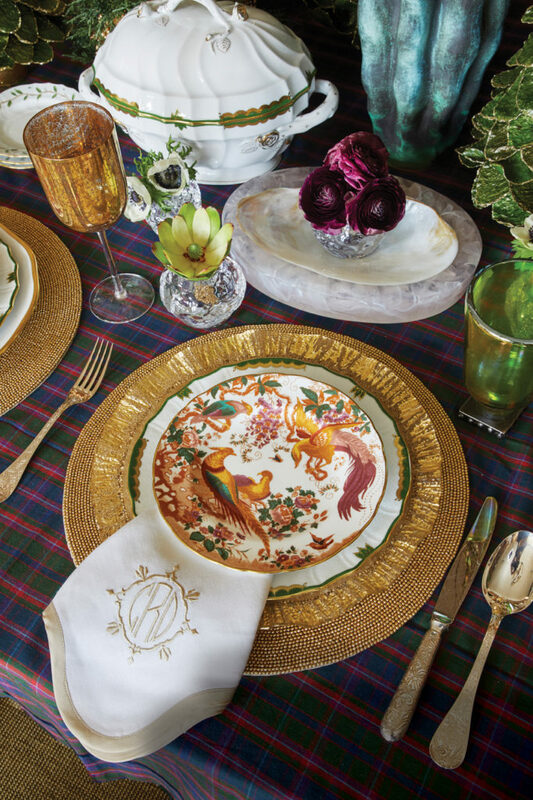 Linens are a crucial part of your tablescape. Always make sure napkins are fresh, and consider using a linen color that plays off the china. Or have your napkins monogrammed to add an extra personal touch that really dresses up the table. Floral designs by Mary Cox, Marigold Designs, @marigolddesign; marigold-designs.com.